And that’s where it belongs. We use only 100% grass-fed beef for our hamburger patties — not just because it’s healthier, but because beef just tastes better when cows eat what they were designed by nature to consume: grass…not grain. 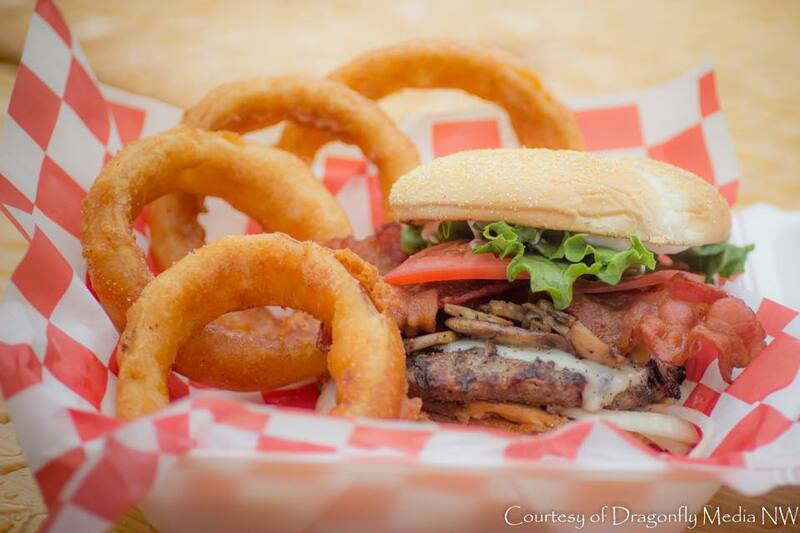 We make sure that nothing gets between your taste buds and our hamburger patties but the perfect mix of seasonings, then grilling them to perfection over an open flame. 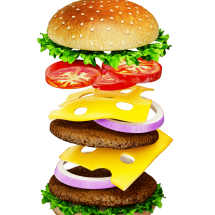 A burger this epic needs a great supporting cast — and that starts with what goes on it: farm fresh lettuce, thick ripe tomato slices, sautéed onions and mushrooms, and raw onions for the socially confident. Our sides include our infamous garlic fries, bacon ranch jalapeño fries, sweet potato fries, and onion rings that rate as many stars as the burgers they compliment. For a walk on the wild side, order the fried pickles. Our signature deluxe cheese burger. Meat, cheese and all the veggies. A Flavor Explosion!!! 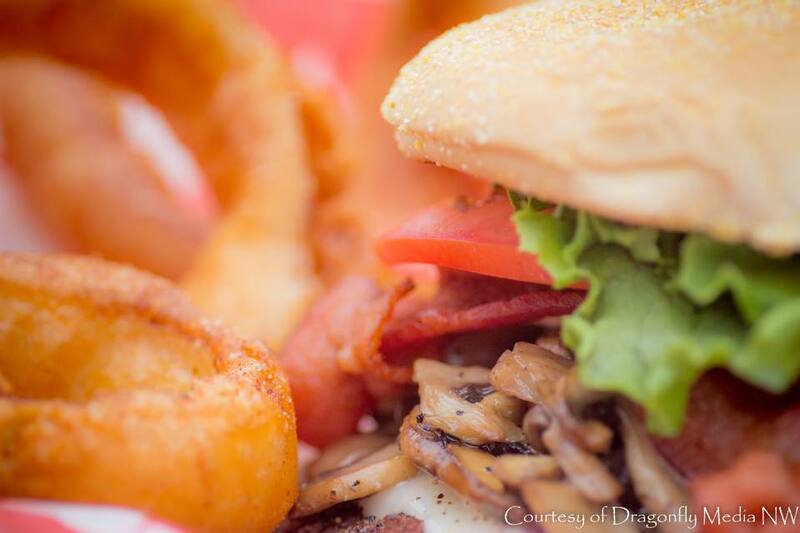 Crispy bacon, fresh cooked mushrooms, swiss cheese, onions & mayo...YUM! A huge burst of flavor! Beef, grilled onions & lots of blue cheese, tomato and mayo. Pepperjack & cheddar cheese with grilled onions, ranch, fresh cut jalapeños and tomatoes...and of course bacon! Merge breakfast & lunch in this delicious combo. Fried egg cooked your way. Bacon, with hand dipped onion rings with BBQ sauce. 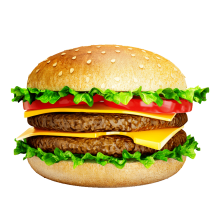 Your choice of cheese, lettuce, tomato, onions and any condiment you like. Philly cream cheese, grilled onion, flavor packed! Hand dipped in John's batter. Light, crispy, flavorful. Slow Churned Creamy Vanilla. ICE CREAM IS THE BASE FOR EVERY SHAKE. Try One Today! I may have posted before but so worth another good word for this place. If you are anywhere near this place, stop and see for yourself. The garlic fries are so flavorful your car will keep reminding you of them. I've NEVER had a better burger!! The Atomic is the best!! And the onion rings are so good! 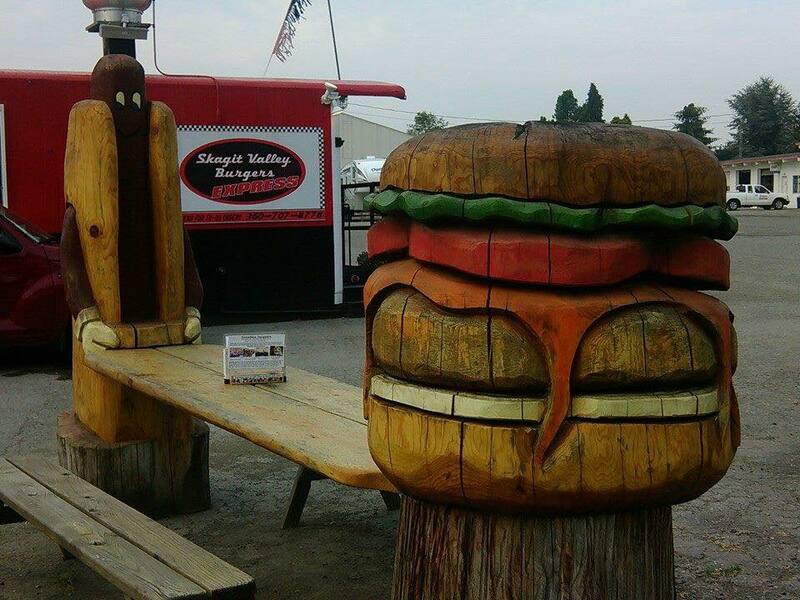 I won't go anywhere else to get a burger. Hmmmm...I hope I can make it there tonight before they close! 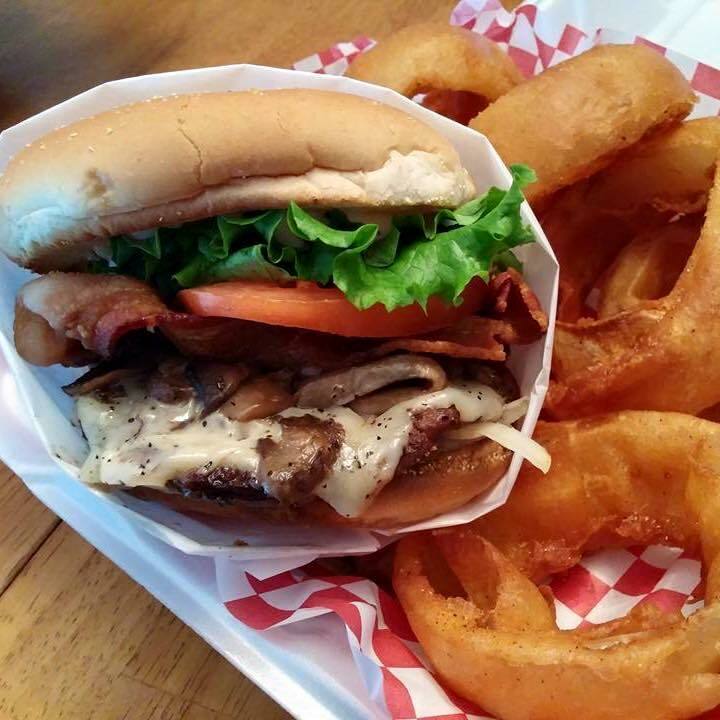 Homemade ice cream milk shakes, grass fed beef burgers, onion rings, and so much more served out of a cute little caboose. Excellent service from the owners and crew. Very good prices for the high level of quality. A favorite stop! Best burger I've ever had in my life and I'm not joking. Their milk shakes are out of this world. The fries are just amazing. 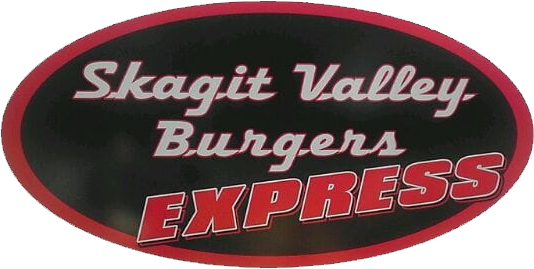 The owners have given something very special and I hope everyone tries Skagit Valley Burger Express because your missing out if you don't. FOR THE LOVE OF ALL THAT IS HOLY!!!!!! 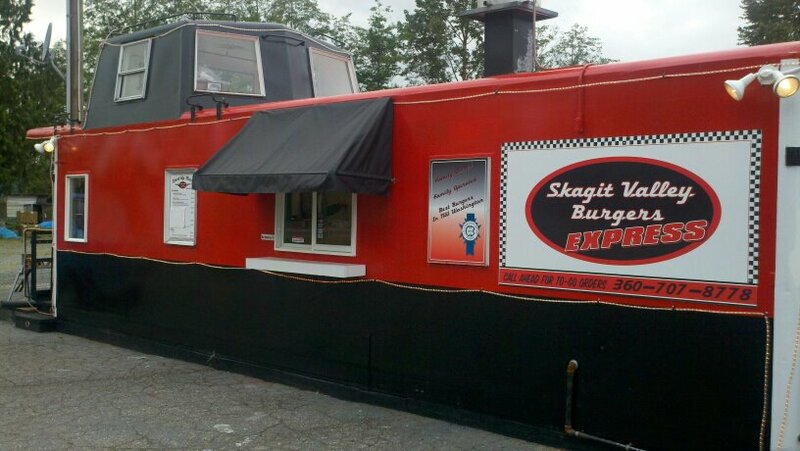 !My first burger at skagit valley burgers on Hwy 20. Seriously the BEST blue cheese burger EVER!! !### Go there and have a foodgasmic experience. You will never go wrong! Plus their onions. . . Seriously the most AMAZING FOOD!!!!! YOU HAVE TO MAKE IT THERE!!! Enjoyed this restaurant for the first time yesterday. I took the advice of calling the order in ahead, so our wait time was minimal. The male employee took my order over the phone and was very attentive to details. When we went to pick up our order, the female employee was very joyful. You can tell they really love what they do. Food was absolutely delicious! The quarter pound hot dog was amazing and the boyfriend adored the jalepeno burger. We will be back!